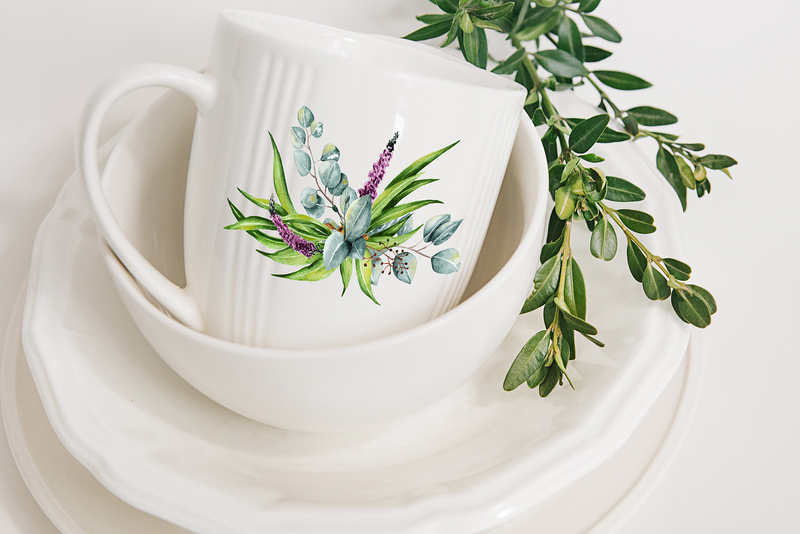 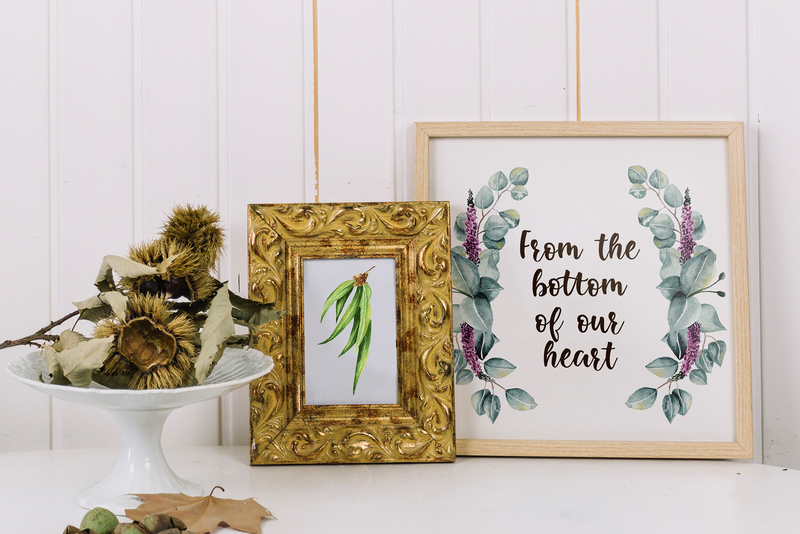 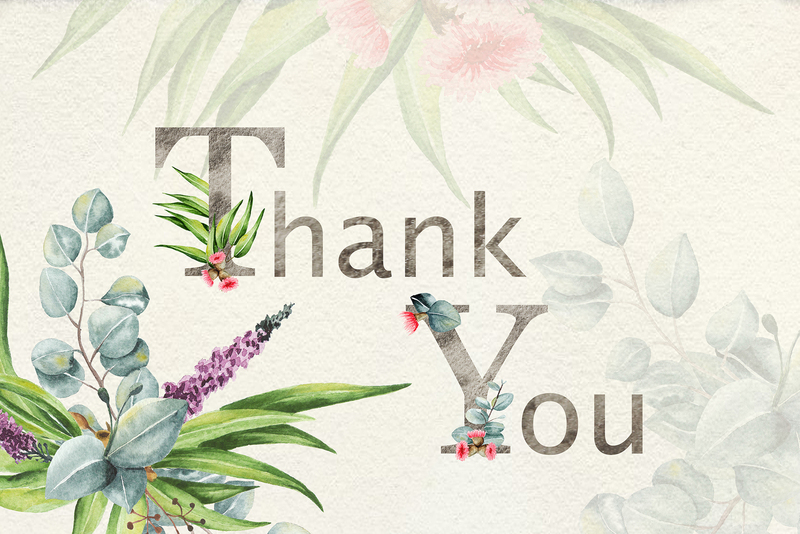 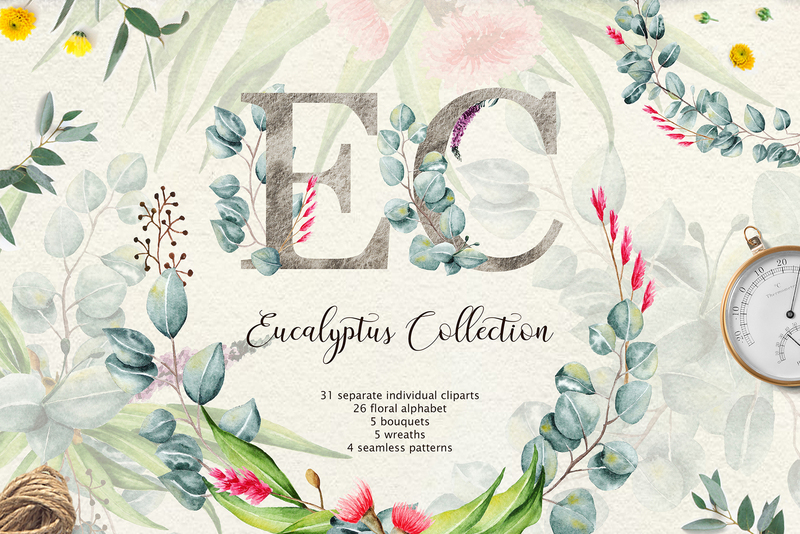 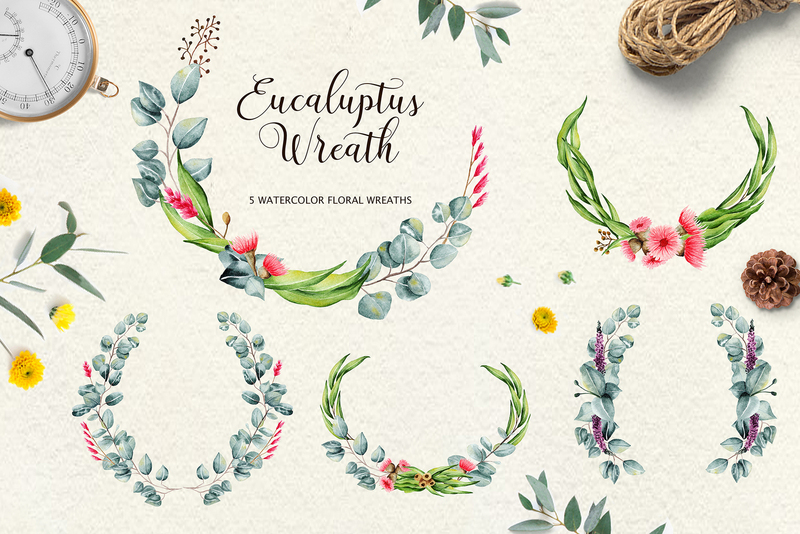 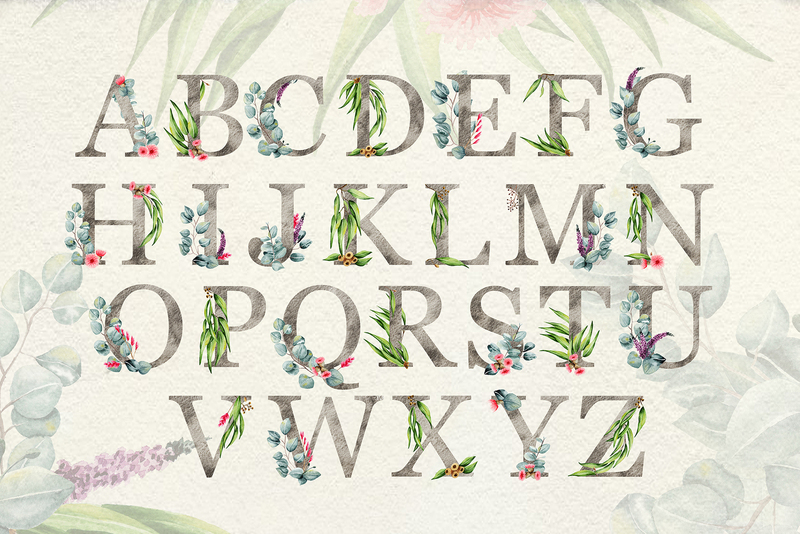 Mett “Eucalyptus Collection” Watercolor handpaintes floral design clip art collection. 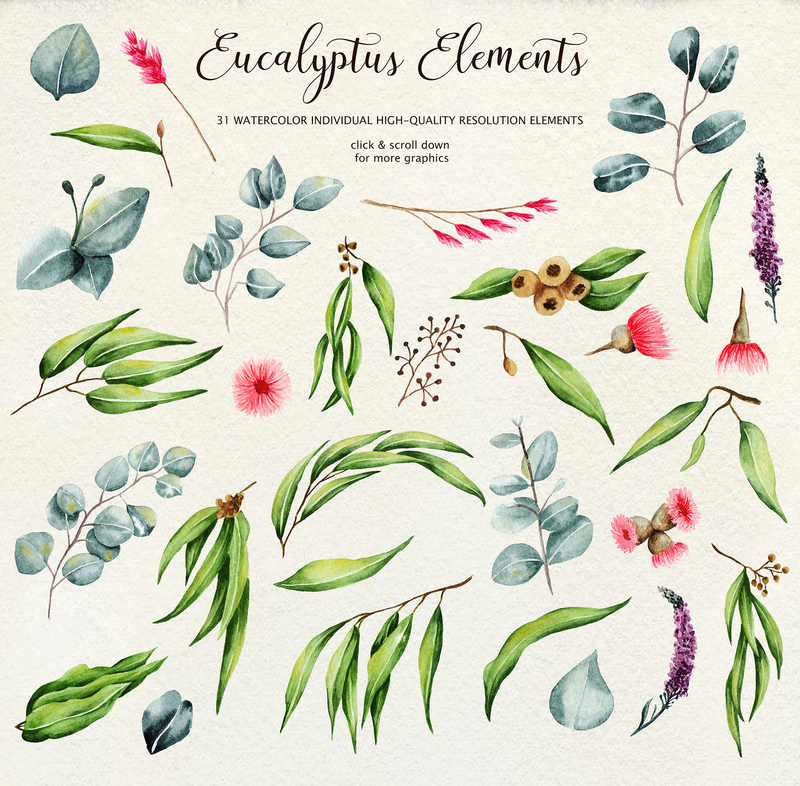 Each element was painted on watercolour paper. 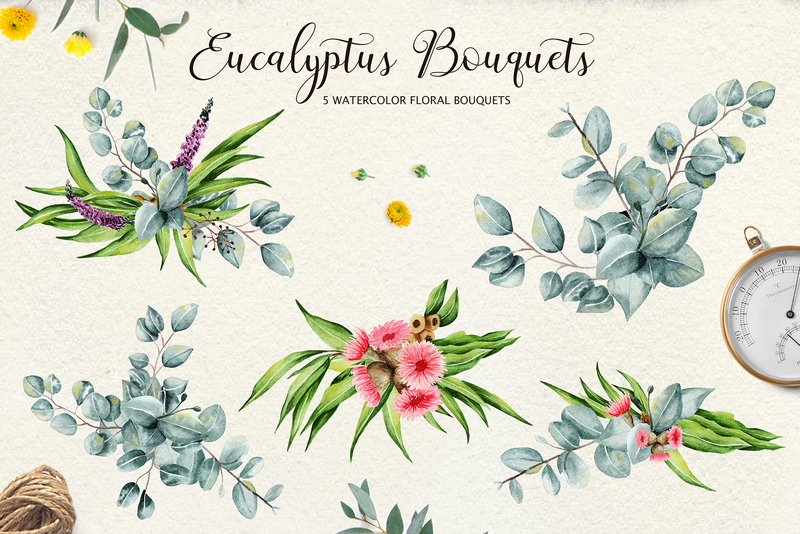 All illustrations were drawn manually, and then scanned in high quality. 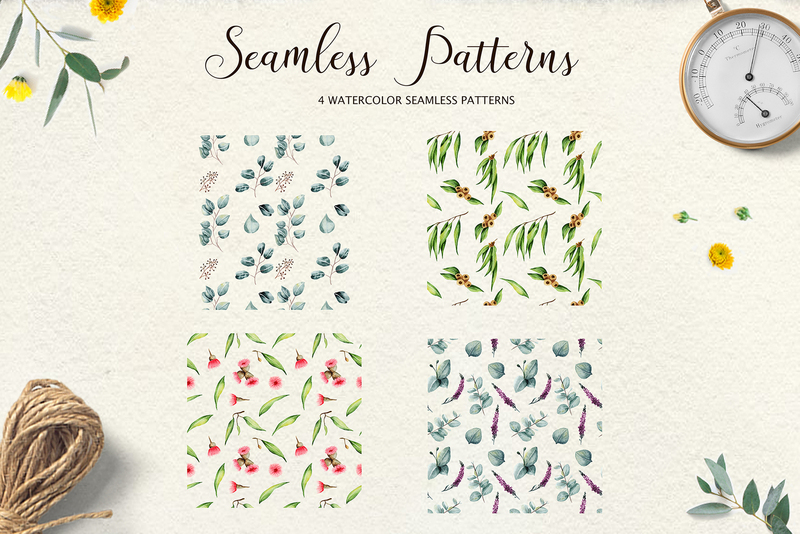 You will also get 4 seamless patterns. 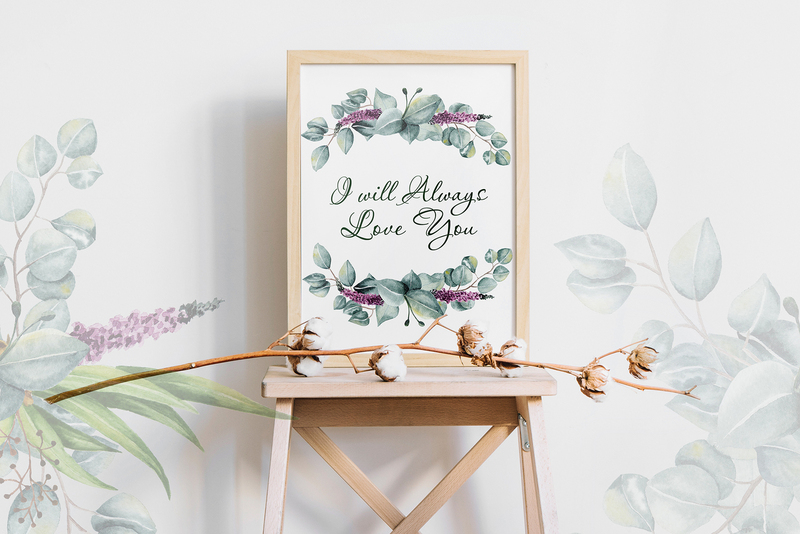 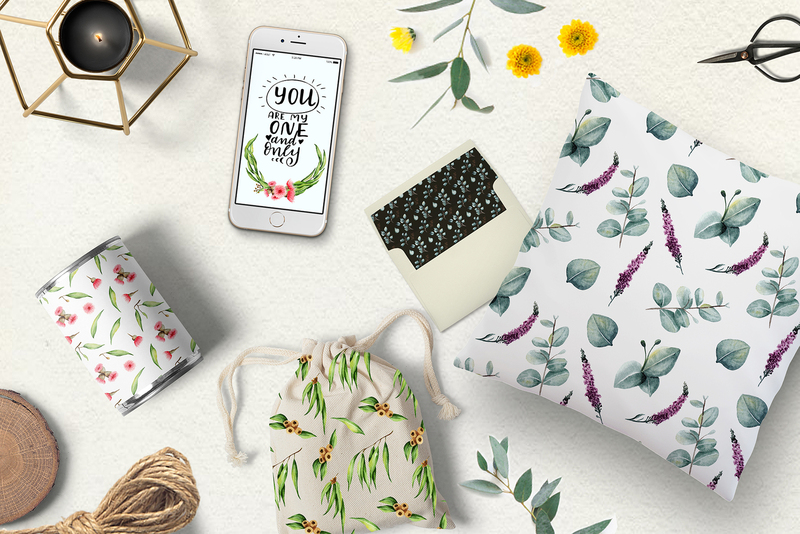 They perfectly decorate the surface of any product and you may use them for printable invitations, wall art, calendars and planners, blog designs, textile decor, scrapbooking projects and so many more!